Two of Portugal’s super football stadiums are in Lisbon – Estadio Jose Alvalade, home to big team Sporting Clube de Portugal andEstadio da Luz, home to legendary Portugal football team SL Benfica. 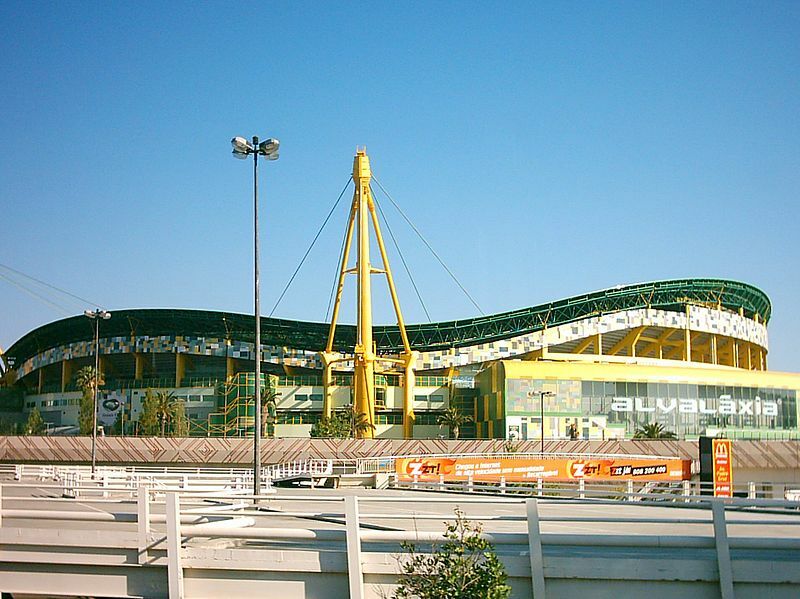 Both of these Lisbon football stadiums are north of Lisbon city centre. It’s easiest to get to them via nearby Lisbon subway stations. Sport Lisboa e Benfica commonly referred to as simply Benfica, is a multi-sports club based in the beautiful city of Lisbon. Although they compete in a number of different sports, Benfica is mainly known for its football team. Historically, Benfica has been one of the most successful football clubs in Portugal and Europe and is one of the Três Grandes, or Big Three, football clubs in Portugal, with Futebol Clube do Porto, and Sporting Club de Portugal, being the other two clubs, Benfica’s two biggest rivals. The Estádio da Luz, Benfica stadium, is a legendary football stadium and took centre state in the Euro 2004 football championships. 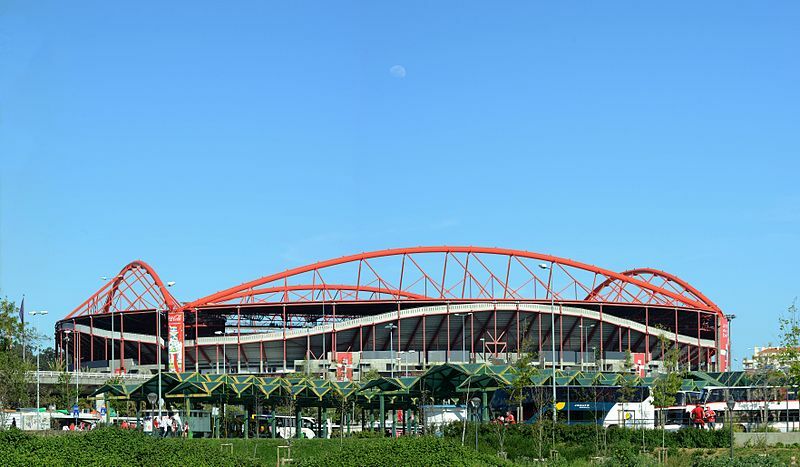 Estadio da Luz is situated in the northern area of Lisbon. Nearest Lisbon subway stations are Alto dos Moinhos or Colegio Militar/Luz, both of which are situated on the Blue line. It’s an easy walk to the Luz Stadium from both these Lisbon subway stations, and getting to the stadium via the subway is the easiest and best way to travel! Alternatively by car get to the stadium via the Segunda Circular ring road which is connected to the national motorway system. Sporting Clube de Portugal, also known locally and internationally as Sporting is the other major Portuguese Sports club based in Portugal’s capital city of Lisbon. The club is particularly renowned for its football department. Smaller Football Stadiums in Lisbon are to the west of the city centre. 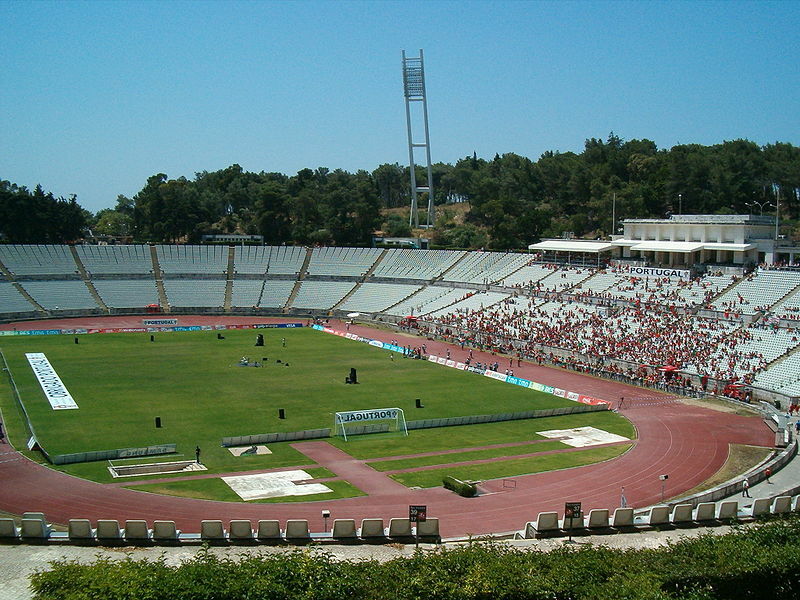 Estadio Nacional known also as Estadio do Jamor is home to National Portuguese football. 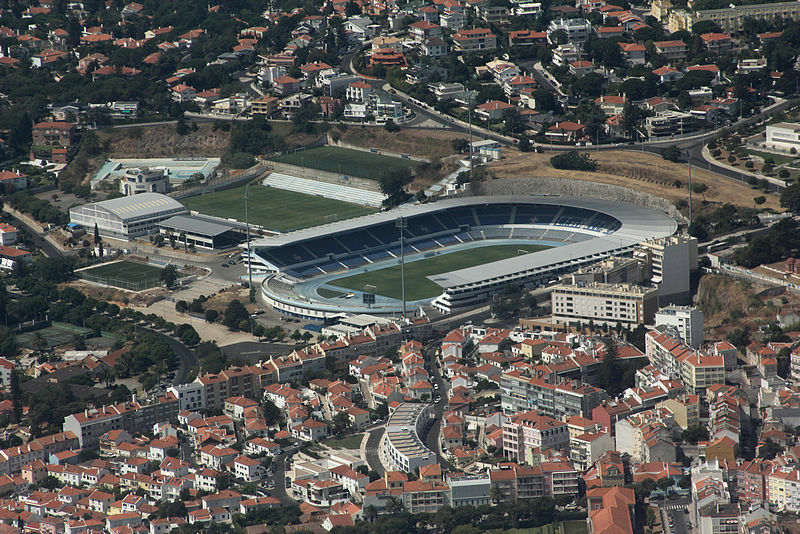 Estadio do Restelo is home to football team CF Belenenses. If you want to visit Lisbon as well as seeing a game in one of these stadiums, check for holiday accommodations in Traveling to Lisbon’s website. You will find apartments in Lisbon historical neighbourhoods and self catering accommodations in Parque das Nações. See also the promotions and last minute accommodations in Lisbon. Traveling to Lisbon also offers other services like car rentals, airport transfers, excursions or whatever else you could need to make your stay the most pleasant.